WE’RE HIRING! Come work at one of the largest animal shelters in New England and have a positive impact in the lives of rescued farmed animals and equines! We’re looking for a hard-working individual to join our animal care team! 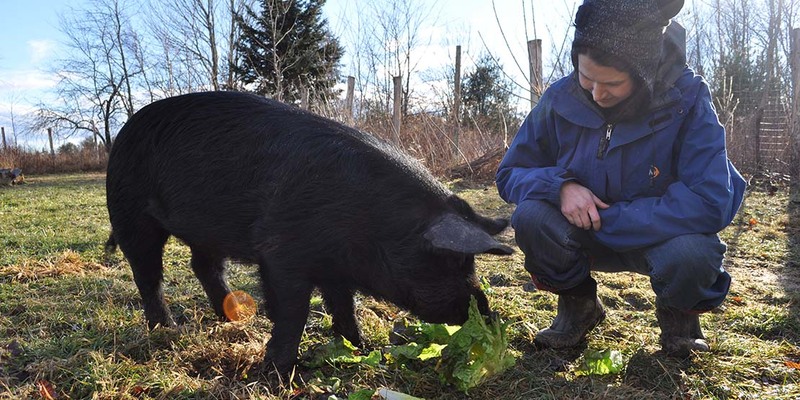 Peace Ridge Sanctuary has a current position opening for a FULL-TIME ANIMAL CAREGIVER. Animal caregivers report to our shelter director to ensure quality animal care. This is a physically demanding job – if you question whether or not you have the physical endurance or stamina to do this type of work, please do not apply. 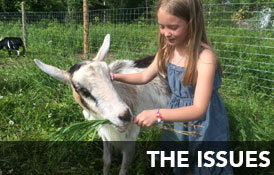 We are looking to hire someone who deeply believes in the mission of our organization – we are a vegan, high-capacity animal shelter focusing on rescuing farmed animals and equines from cruelty and neglect situations – if you are unfamiliar with our work, please review our website before applying. We are looking for someone who wants a long term position doing this type of work. If you are just looking to fill time between jobs or looking for something to do until the right thing comes along, this job is not for you, so please do not apply. If you sound like the right fit for this job, we would love to hear from you. Please note, to be considered for this job, we REQUIRE A COMPLETED APPLICATION FORM which we will review BEFORE inviting you to interview. No phone calls, please. Whether you need to secure an internship for high school or college credit, or want to design an internship for self-education, we would love to work with you to make this happen. Internships have a learning criteria created by the potential intern with our director. All internships require working around the animals. Internships usually cover areas including animal care, veterinary protocol, nonprofit management, and humane education, but interns can bring their specifics to us and we can usually make something exciting happen! Limited housing may also be available for the duration of the internship. Peace Ridge Sanctuary is an equal opportunity employer and does not discriminate on the basis of an applicant’s race, ethnicity, ancestry, national origin, color, gender (including gender identity or expression), pregnancy, sexual orientation, age, marital status, religion, physical or mental disability, genetic characteristics, protected medical condition, military status or other classifications that are protected under applicable federal or state anti-discrimination law.